Welcome back to another Favorites Friday friends!! How’s your week going? I hope well! Today is all about the shows I watch over and over again. We all have our favorite shows that we love and will continue to watch; no matter the fact that we can quote and probably act out almost every episode. Am I right? They remind us of good times, comfort us, and usually make us laugh. 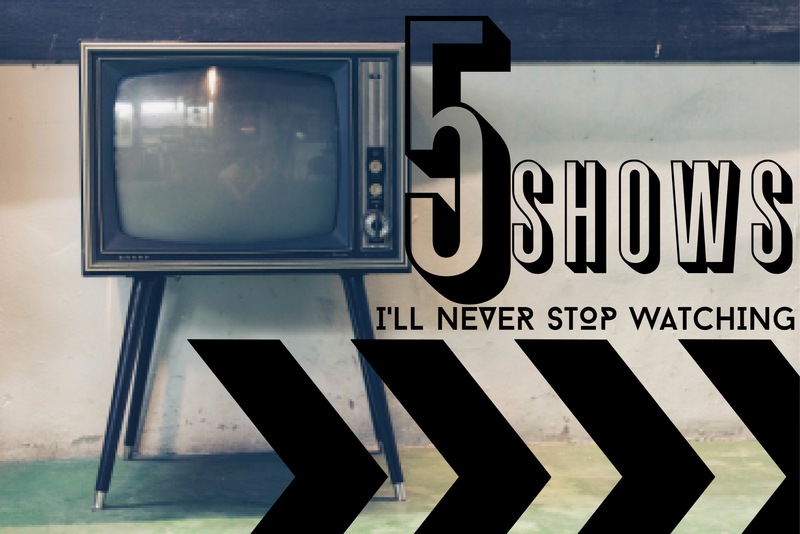 Today I wanted to share my hidden gems, my constant favorites, and the shows I’ll never stop watching. It’ll be a short but fun post! The pompous radio psychiatrist and his brother will always have my heart. They’re ridiculous and haughty but so hilarious. All seasons are on Netflix and I watch them while I drift off to sleep. I will always watch this show because no matter how many times I watch them, I still die laughing. I just recently watched all these episodes within the last year on Netflix. I don’t know where they had been all my life. I’m a sucker for these 90’s sitcoms. They’re dramatic and silly but I love them! I mean it’s a classic, right? I’ve recently been re-watching some of them and remembered how much I love them. I think the producers set out to make episodes that people would never get tired of; and for the most part, I think they succeeded! Also all on Netflix, yay! Also on Netflix, Psych is my go-to show if I really need to laugh. Shawn is a “psychic” detective who’s really just hyper observant and has a photographic memory. Shawn and his best friend, Gus, solve crimes all while usually making themselves look like fools. You’re guaranteed to laugh with any of these episodes. What shows will you always re-watch?? Let me know down below! I love Friends!! One of my favorite sitcoms to watch! I watched One Tree Hill on Netflix, It was fantastic!! !